In our opinion, the portable grass vaporizers described in this article are the best in the market. This list is based not only on our personal experiences, but also on reviews and reports of our friends from the Internet and in real life. Of course, our judgement is subjective. If you already use such devices, you may not find your favorite model in our list. However, we are convinced that most users will be in our opinion. 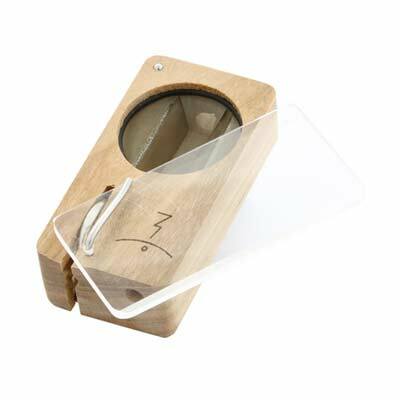 If you are looking for a portable vaporizer for herbs that costs less than £100, we regret to disappoint you. At this price you will find only pen-vaporizer, to which we will go into another article in more detail. There are devices on the market that fall into this price range – but believe me: they are not worth their money. But what does it look like if you not only take the costs into account, but instead set yourself the goal of buying the best device for your needs? You can find out all about pen-vaporizer in your own article. So let’s get started. The entry-level model of portable cannabis vaporizers. In principle it is a wooden box with a very simple, discreet design, which is available in maple, cherry and walnut. It has a capacity of 0.5 grams and heats up in less than five seconds (to a target temperature of 190 °C). The Vaporizer has a nickel-metal hydrid battery that lasts 4 to 8 sessions (with a duration of five minutes). Here you can buy this device for under £100. The herbs used for aromatherapy must be dry. The herbs must be ground – but not so fine that a powder is produced. Do not press the herbs into the vaporizer as this does not offer any advantages. Fill your grass and count to five. Then you see a thin smoke column in the mouthpiece: the device is ready. Pull several times short of the vaporizer and inhale clean air between the trains. It is particularly important to estimate the temperature correctly, which is usually not easy for beginners. If the temperature is too low, use a short distance to allow the Magic Flight to warm up. If the smoke on your lips seems too hot for you, take deeper, more frequent features. Steam 6-10 trains long in this way and then take a deep lung. Another good tip is to shake the vaporizer to mix its contents, and then push it back into the groove. Do not worry, if the first trains do not produce visible vapor (even better). The steam is produced only after 2-3 minutes. Remember, however, that exhausted smoke is lost steam – so it is better to see less steam. 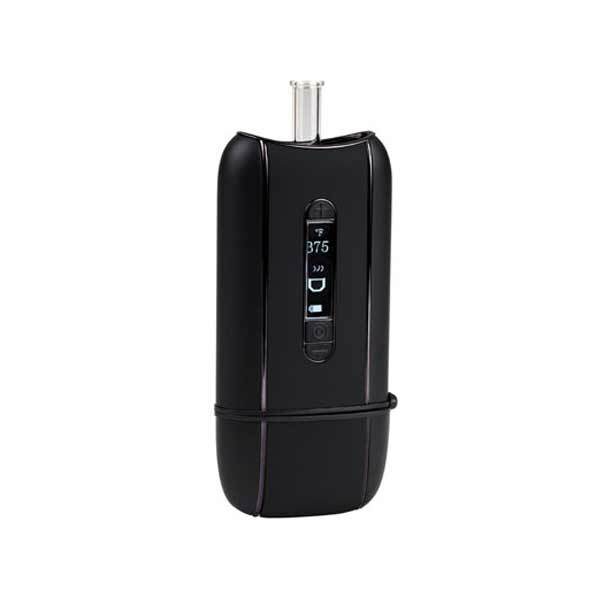 This discreet vaporizer is available with numerous different skins. The specialty of this vaporizer is its compatibility with a variety of substances: from essential oils to concentrates to herbs. The OLED display allows you to control the temperature and the charging status at any time. The desired temperature can be set up to a value of 221 ° C.
The device features a very discreet, elegant case with different surfaces: normal, carbon fiber and rootwood. It is about the size of a smartphone – only slightly wider – and has a lithium-ion battery, which ensures a function of approximately 2-3 hours. The DaVinci Ascent has a combustion chamber made of ceramics and a steam pipe made of glass, whereby maximum aroma is achieved. Because this device is very easy to use, it is ideal for beginners who want to spend a little more money on a high quality product. Included in the delivery are two mouthpieces of glass, a power supply and a velvet case, in which the vaporizer can be taken everywhere. This solid vaporizer, designed in Germany, is one of the best models of the middle class. Volcano’s designers (one of the most popular table vaporizers of all time) come from this great portable device. The company recently decided to enter this market segment, but the result is impressive: the quality and precise processing of the world’s most famous vaporizer is also reflected in this outstanding portable model. The steam of Crafty is one of the best on the market and can even compete with table vaporizers. The device has been designed with high quality, which is immediately apparent when you hold the vaporizer made of sturdy plastic for the first time. You do not have to be afraid that the device will break if you do not treat it really neglected. But even if something happens, the crafty two-year warranty is granted. A particularly interesting aspect of this device is controlling the temperature and other features via an app that can be downloaded to the smartphone. This is not absolutely necessary, since in other ways two temperatures can be set – but the app allows you to control the temperature much more precisely. The temperature of the crafty is between 40 and 210 ° C. The battery lasts approximately 45 minutes and recharges completely within 2 hours. In summary, the Crafty is one of the best portable vaporizers on the market: the steam quality is excellent, a 2-year warranty is given and the device is very well processed. I can assure you that this device is worth every penny. A complete review of the Crafty can be found here. The Mighty is the big brother of Crafty. After the Crafty, of course, his big brother, the Mighty, can not be mentioned. The Crafty is a great vaporizer that is suitable for both at home and on the road. The steam definitely has the quality of a tableware. Although both devices are portable, the Mighty is slightly larger than its smaller brother and thus a little less handy or stuck in the pocket. The complete review, in which both models are compared, can be found here. 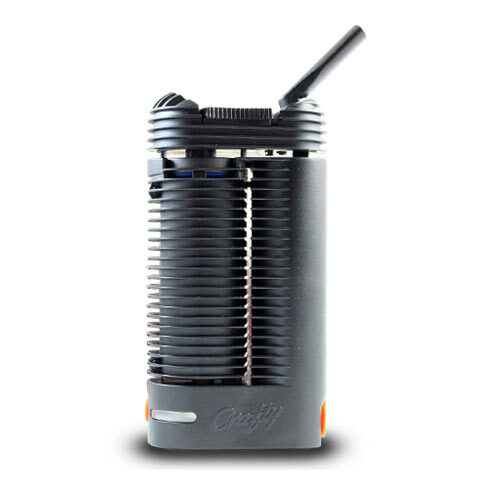 The quality of the Mighty corresponds to that of the Crafty, since both devices are produced by Storz & Bickel. The main difference is that the Mighty is bigger and more powerful. In addition, this Vaporizer has two lithium-ion batteries, which allows a longer battery life (the Crafty has a battery). The Mighty can not be controlled by app on the smartphone, instead you can find all the controls on the front of the device. Many users prefer to make temperature settings directly on the vaporizer without using a mobile app and a Bluetooth connection. You have the choice! Against the Mighty speaks its slightly higher price, the goal of our list was, however, only the very best devices to present. Like Storz & Bickel, Arizer is a well-known name in the vaporizer industry. 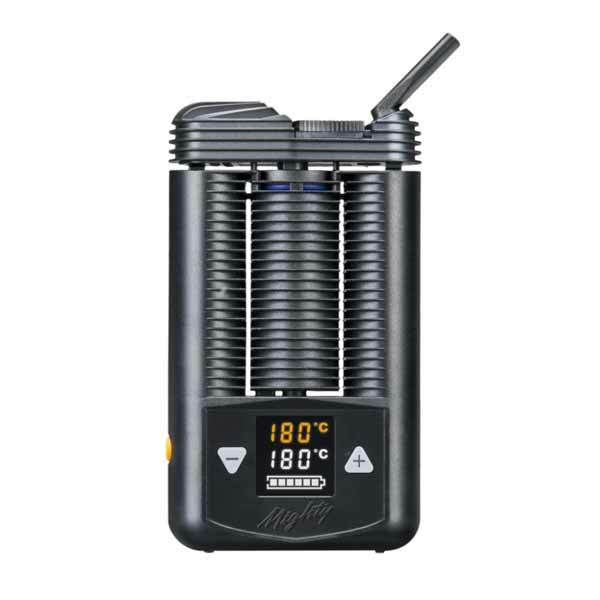 The company produces the Arizer Solo, one of the most popular portable vaporizers (until the release of the Arizer Air), and the Extreme Q, an excellent table vaporizer. Although the Arizer Solo was (and still is) a phenomenal portable vaporizer, the company definitely has a jump in quality behind it and now offers a device that is even more mobile. The solo has only one problem: it is too big to go through as a portable vaporizer – and its mouth makes it even bigger. The Arizer Air has all the features that made the solo so popular, and finds a solution to the user’s only criticism. The following figure shows the difference between the two devices. To the left is the Air, while on the right you see the previous model. To illustrate how portable this device really is, we can assure you: if the Arizer Air were even smaller, it would be classified as a pen vaporizer. The quality of the steam of the Air is impressive, as well as 5 preset temperatures. Also the long recharge time makes this device particularly interesting. The batteries can be replaced, which is why you can take several spare batteries with you if the charging level is low. This device should not be missed because it is an upgrade of a previously very popular vaporizer. 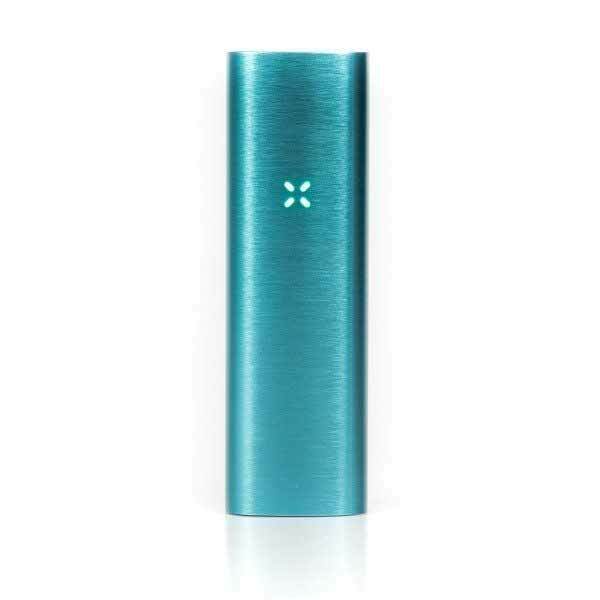 If you are looking for a rugged high-tech device with an appealing design, the portable Vaporizer Pax 2 will please you. The predecessor model was never sold in Europe, but luckily its producers recently decided to enter the European market. In some American Vaper forums, I read that because of the shape of the mouthpiece, there were often problems with cleaning. Also the battery life was not very satisfactory. Pax Labs took this criticism to heart and solved the problems of the successor model, which can also score with some interesting features. The Pax 2 Vaporizer has a 20% larger chamber, which means a higher capacity. In addition, it is smaller and lighter than the original, making it a truly portable device. The design of the mouthpiece has been completely altered, which is why it is no longer a problem. In addition, the recharge time has been extended: 7-8 sessions are possible with one charge, while the previous version only allowed 4 sessions. If you are looking for a robust, high-tech vaporizer (the housing is made of brushed aluminum), the Pax 2 is the right model for you. This device also has a 10-year warranty, and you can count on support for any technical problem. If you are looking for the best portable vaporizer that you can take anywhere, we recommend the DaVinci Ascent. If you are looking for the performance of a table vaporizer without having to handle power supplies, the Mighty is the right choice. If you have just started steaming and are looking for a compromise of steam quality, portability, easy temperature control and good battery life without having to spend a small fortune on the vaporizer, the MFLB is the right device for you.